Answer the call to brawl and decide the fate of the universe! These magnetic marbles pop open into powerful Bakugan warriors when they roll onto the metal Gate cards. Use strategy to place metal Gate Cards effectively as each card affects the battle differently. 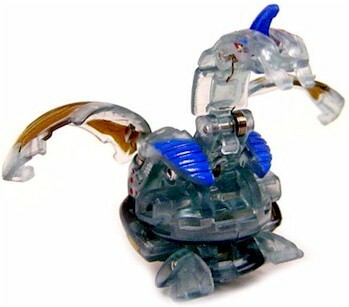 Helios evolves from Viper Helios into a Mechanical Bakugan. Purchase Helios from Amazon now!